Tops Starting At $3.74, Leggings $4.50, Thermal Tops $5.25, Pants $6! You are here: Home / Great Deals / Christmas Deals / Tops Starting At $3.74, Leggings $4.50, Thermal Tops $5.25, Pants $6! 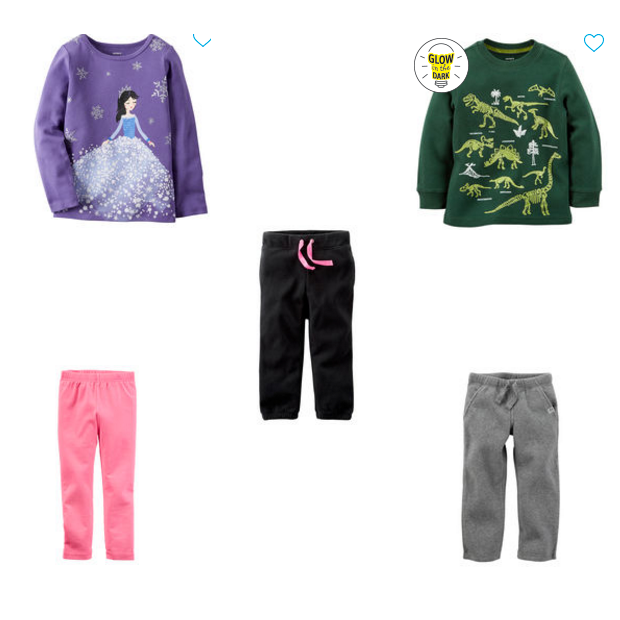 Head over to Carter’s to order Tops Starting At $3.74, Leggings $4.50, Thermal Tops $5.25, Pants $6! Regularly up to $20! Get FREE shipping on orders over $50! Carter’s has up to 60% off in it’s More the Merrier Sale, with items starting at $5! If you purchase $40 you can take an extra 25% off by using promo code MERRY25 at checkout! If you spend less than $40 you can still get an extra 15% off with promo code MERRY15!